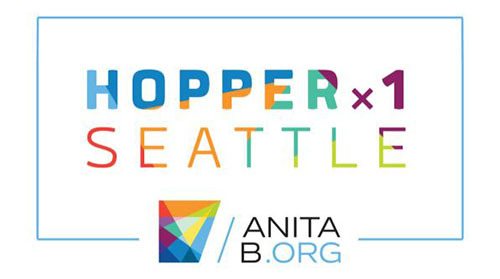 Hopper x 1 Seattle is a two-day locally organized conference modeled after our Grace Hopper Celebration (GHC). This immersive event brings together women technologists at all levels - along with leading companies from industry, academia, and research - to build relationships, learn, and advance their careers. Before you start a new registration please review the following instructions. If you are completing a new registration, please select your registration category. Continue through to complete your profile. Once submitted, fees are not cancellable and no refunds will be issued. If you need to make changes to your registration profile or substitute a new attendee, select "Modify" or "Substitute". Login using the email address of the original registrant and the registration reference number found in the original registration confirmation email. Note: Some types or registrations might not be available for substitution. Welcome to the Hopper x 1 Seattle Registration Site. New Registrations: If you are completing a new registration, please select your registration category.Continue through to complete your profile. Once you submit your registration, you cannot cancel any fees, and we will not be able to issue any refunds. Managing Your Registration: If you need to make changes to your registration profile or substitute a new attendee, select "Modify" or "Substitute." Log in using the original email address of the original registrant and the registration reference number found in the original registration confirmation email. Note: Some registration types might not be available for substitution. GENERAL REGISTRATION IS SOLD NOW.